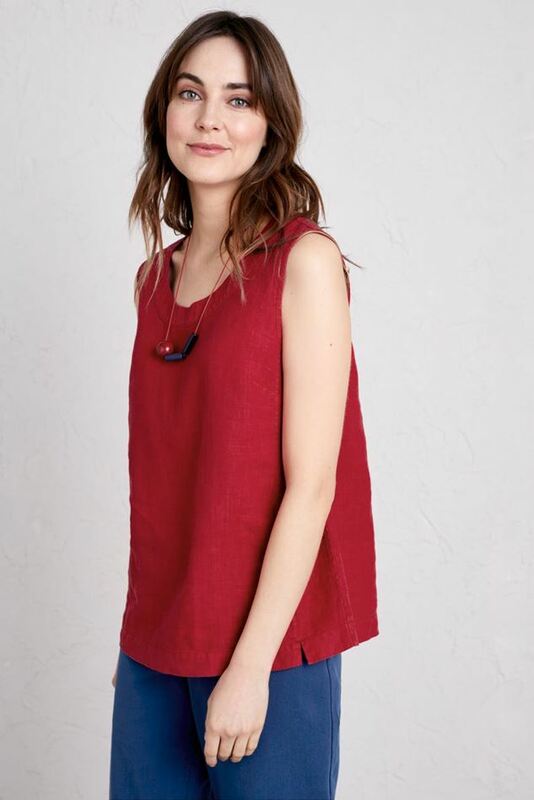 A relaxed fit sleeveless shell top. The Mountboard top is your must have summer top. A relaxed fit sleeveless shell top. The Mountboard Top is made from pure linen, garment dyed for exceptional softness and a worn-in, sun-faded look. It makes a great alternative to a classic cotton vest, offering a bit more coverage across the shoulders.